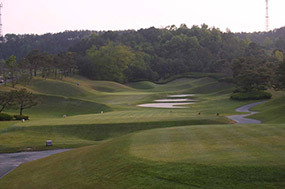 Around a hundred kilometers from Seoul, the Woo Jeong Hills golf course was designed by Perry Dye, the son of legendary architect Pete Dye who created the famous Stadium Course at TPC Sawgrass in Florida. 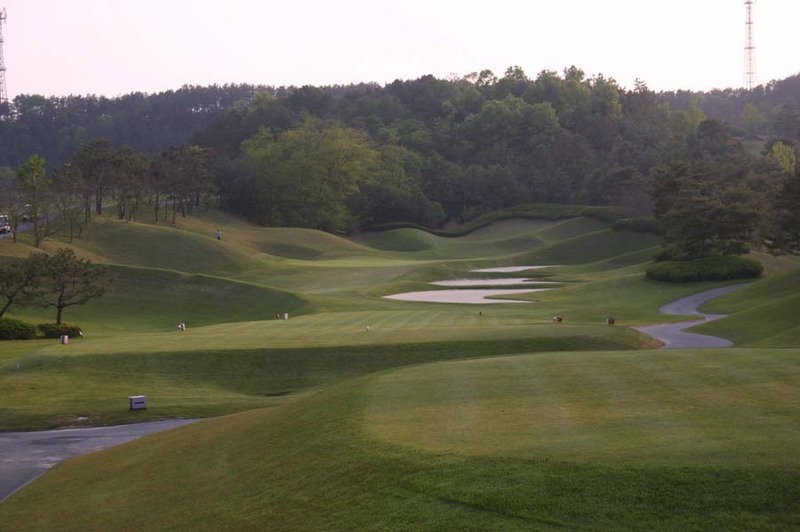 This track is every bit the poor-man’s TPC course, with Dye junior paying homage to his Dad’s work and leaving Korean golfers big mounds, plenty of water, heroic design and even an island-green par three. 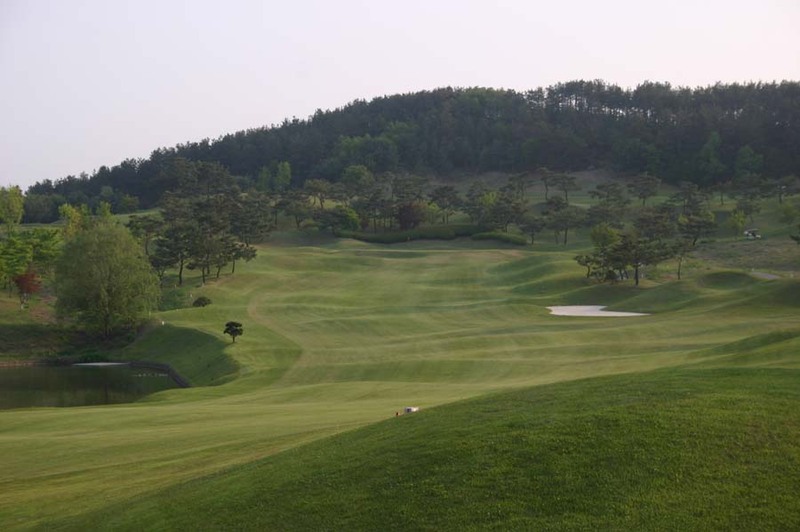 The problem with Woo Jeong Hills is that nothing here is original or particularly well built, it’s not a bad course but the mounding is overdone, the shaping not near the level of sophistication seen on Dye senior courses and some of the replica holes are just silly. An example is the 13th, an island-green par three that was initially modeled on Pete Dye’s most famous short hole. Unfortunately, the club chairman felt the hole was too short so it was extended to around 200 yards, the green enlarged and sand built around the edges. What was supposed to be a copy of the gripping short-iron 17th at Sawgrass is now a long, dull fairway wood into a large, flat green with sand protecting balls from the water. 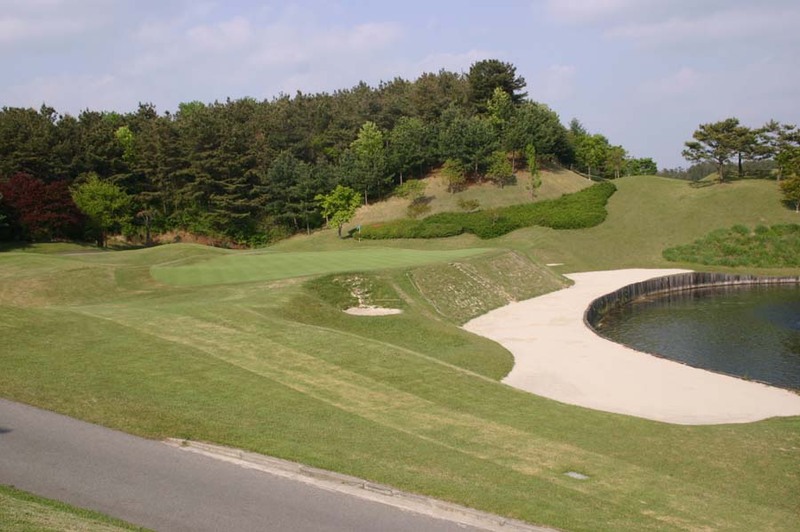 There are a number of other areas here with double hazards, usually fairway bunkers along the edge of lakes or ravines to prevent stray balls from ending in deeper trouble. 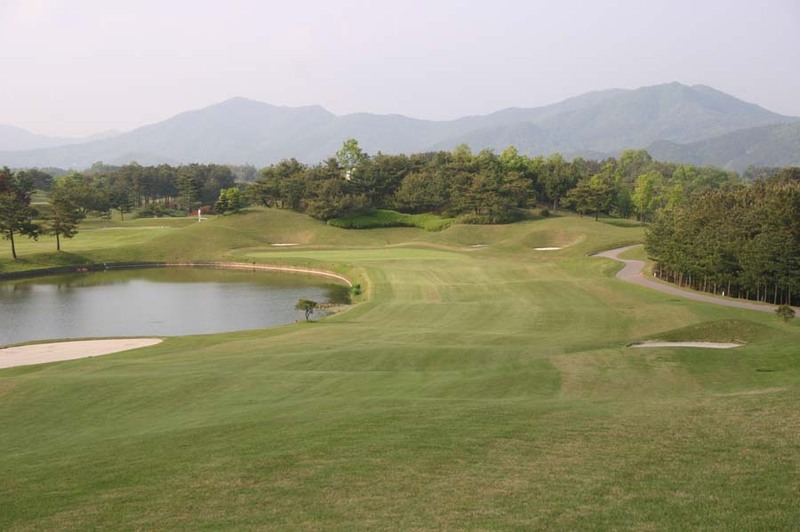 Throw in poor holes like the 2nd, with a lake left but a fairway shaped to favor the right side, and you have a course with potential but serious design shortcomings. On the positive side, the long par three 7th is a good hole and the Sawgrass style 18th around a lake is an exciting climax to the round. There are also excellent teaching facilities here and a nice clubhouse. In Korea golfers rarely look for more in a club.